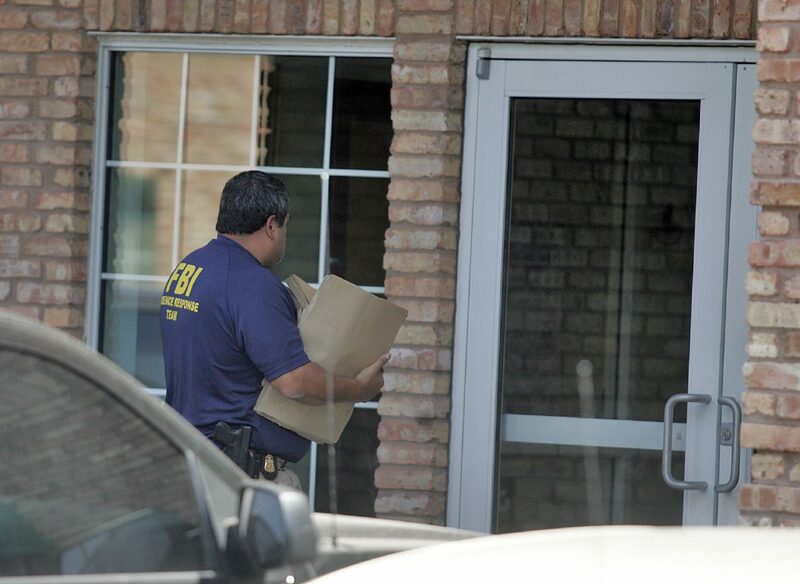 The FBI conduct a raid on Dannenbaum Engineering Corporation on April 26 in McAllen. EDINBURG — Hidalgo County has terminated negotiations with Dannenbaum Engineering for the construction of the new courthouse. County commissioners voted unanimously Tuesday afternoon to end dealings with Dannenbaum about a week after the engineering firm made headlines across the state when FBI agents raided four of their eight offices, including the firm’s McAllen office. Dannenbaum, along with a group of four other firms, was the lead contender to serve as the program manager for the construction of the new county courthouse up until Tuesday, when commissioners met behind closed doors to discuss the issue for more than 30 minutes. “We don’t know what’s going on, but we know it did happen,” County Judge Ramon Garcia said about the FBI raids that occurred throughout the firm’s offices last week. At least one member of the public defended the firm, citing the constitutional right to be considered innocent until proven guilty. Richard Seitz, an engineer with Dannenbaum, also said the team was more than capable of overseeing the multi-million-dollar project. But the public perception and the possible impact the investigation could have on the project worried Garcia. Precinct 2 Commissioner Eddie Cantu suggested they talk about the issue behind closed doors for fear of creating a record that could come back to haunt them. “I just want to make sure that we lay the groundwork to protect us from being sued,” Cantu said. After about 30 minutes in executive session, commissioners came back with bad news for Dannenbaum and the other firms who had been on the verge of finalizing a contract. Instead, commissioners voted unanimously to terminate those talks and begin negotiations with the second-ranked firm, Jacobs Project Management Company.